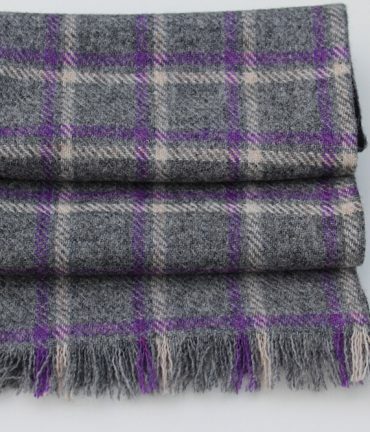 New for 2018, we have paired this gorgeous grey Harris Tweed with purple/white overcheck with a handsome dark blue cashmere woven in Scotland. 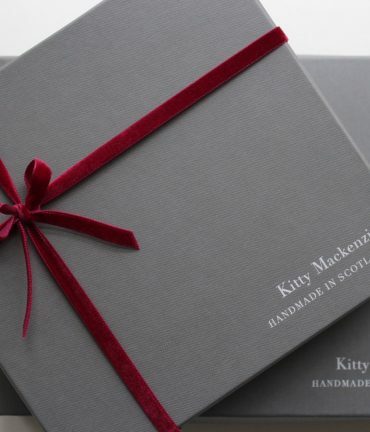 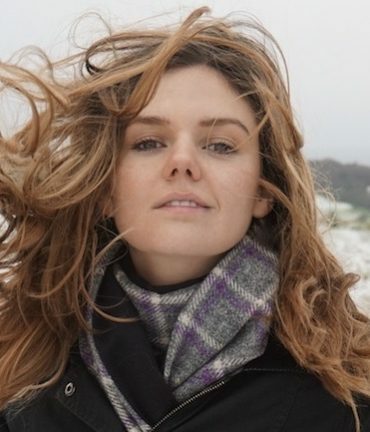 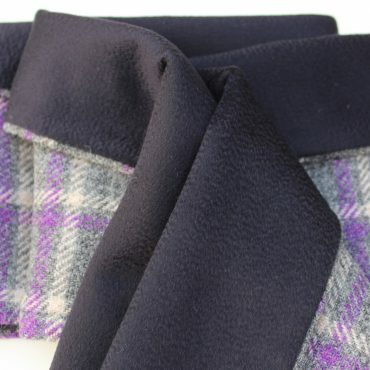 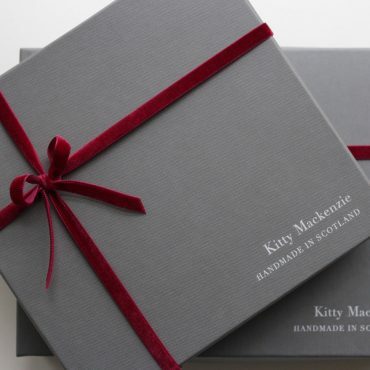 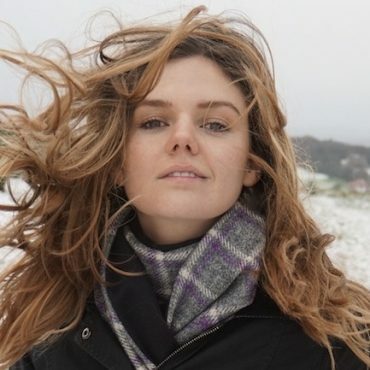 Unbeatable Scottish style, for men and women, our beautiful scarves have been made with wild Scottish weather in mind, giving you excellent protection against the elements. 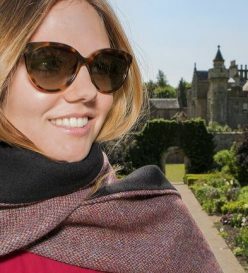 Designed to be worn with the soft cashmere side against the skin and the colourful, water resistant tweed facing out, providing structure, additional warmth and excellent protection against the elements. 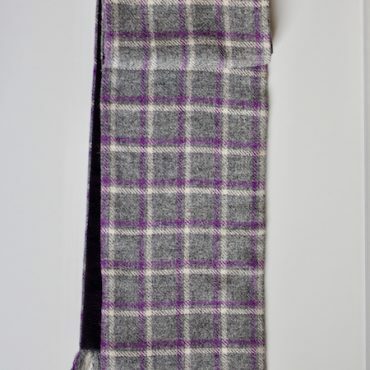 Highland Mist Scarf – new for 2018. 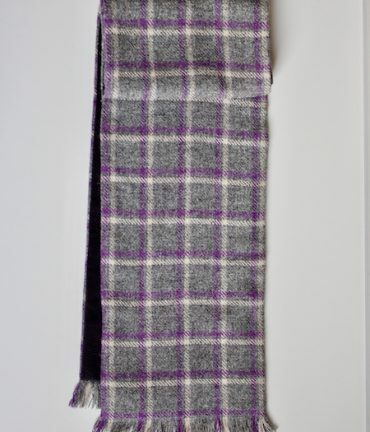 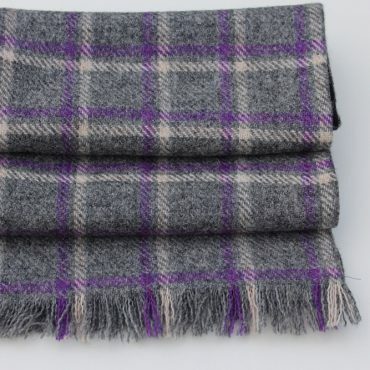 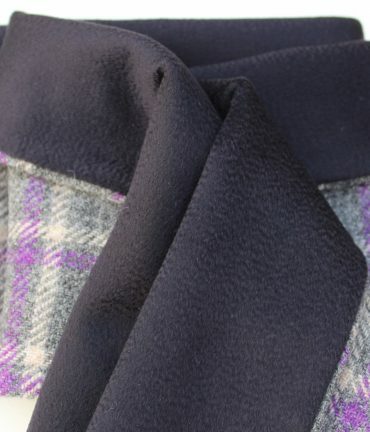 A gorgeous grey Harris Tweed with purple/white overcheck paired with sleek, dark blue cashmere woven in Scotland.